This should put a smile on your faces: Cocoa, the main ingredient of chocolates, is beneficial to your health. In fact, cocoa is so good for the body, it’s considered a great superfood that should be incorporated into one’s diet. Since it’s packed with antioxidants, cocoa is great for fighting certain cancers and heart disease. It can even slow down the signs of aging. There are approximately 43.6 mg of flavonoids — a powerful group of antioxidants — per gram of cocoa. A cup of hot cocoa contains more antioxidants than one serving of tea or red wine, making it the healthiest choice. The antioxidants found in cocoa help neutralize the oxygen-based free radicals inside the body. These flavonoids may also help treat vascular disorders. Cocoa possesses anti-diabetic properties. Cocoa intake has been known to improve insulin resistance and glucose metabolism, which are precursors to healthier blood sugar levels. One study confirmed that cocoa helped improve the treatment of long-term diabetic complications, like diabetic nephrotoxicity. Flavonoids like procyanidin, catechin, and epicatechin protect the cells from damage and strengthen the heart. They prevent fatal blood clots, atherosclerosis, and thrombosis. Allergies, asthma, and shortness of breath can also be improved with regular cocoa intake. Substances like xanthine and theophylline relax bronchial spasms and open constricted bronchial tubes to help air flow easier. Also, cocoa extracts possess wound-healing properties that prevent infections. Cocoa is also effective in inhibiting the growth of cancer cells without affecting normal healthy cells. Various studies have shown that the flavonols and procyanidins in cocoa have chemopreventive and anti-proliferative qualities that help stave off different types of cancer like colon and prostate cancer. They also play a significant role in avoiding neutropenia, leukopenia, and anemia because they improve hemoglobin levels, copper content, and leucocyte counts. Aside from treating copper deficiency, cocoa is also effective in staving off the negative effects of magnesium deficiency. Also, cocoa can be a great tool in preventing Alzheimer’s disease. Flavonols like epicatechin and catechin are effective in treating neurodegenerative diseases. Phytochemicals present in cocoa reduce oxidative stress in the brain, which fights neuronal cell damage and provides protection against cytotoxicity. Cocoa is great for the skin. They help minimize scaling, roughness, and rashes caused by exposure to UV rays. The flavonols present in the bean help hydrate the skin and enhance its elasticity. Epicatechins stimulate blood flow in the dermal tissues. Cocoa beans are also effective in healing wounds. Another benefit of regular cocoa intake is relief from chronic fatigue syndrome. It reduces fatigue by releasing neurotransmitters like serotonin, anandamide, and phenylethylamin in the brain to prevent oxidative stress on neuronal cells. There’s enough evidence that prove cocoa is beneficial to various systems in the body – respiratory, cardiovascular, digestive, nervous, and even circulatory. One research showed that cocoa’s hypoglycemic and hypcholesterolemic effects are good for regulating blood sugar levels. It also helps improve healthy HDL cholesterol levels. Who doesn’t like cocoa? A hot steaming cup especially on a cold weather is heaven the same way a bar of chocolate can make you giddy with happiness. There are a lot of ways you can enjoy cocoa: cake, ice cream, smoothie, cheesecakes, cookies; the list can go on. Check out some of these cool cocoa recipes. Cocoa helps reduce the risk of obesity caused by high-fat diets. Cocoa promotes a healthy brain. Cocoa improves insulin resistance and glucose metabolism. 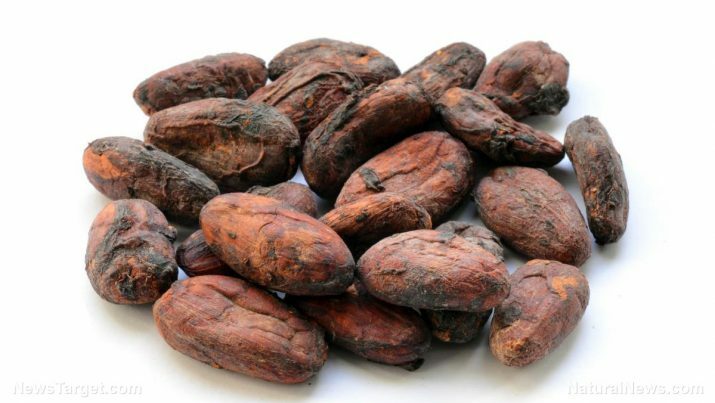 Cocoa provides relief from bronchial asthma. Cocoa lowers bad cholesterol and sugar levels. Cocoa promotes a health circulatory system. Cocoa prevents colon and prostate cancer.